Renewable sources of energy have recently been one of China’s main goals. They are in works of reducing their pollution and moving towards a sustainable energy future. They have implemented stricter emission standards and are an active candidate in the Paris climate agreement. From being the leading country for electrical cars, they are now home to the world’s largest floating solar power plant. This solar farm is located in the city Huainan in the Anhui province. This area that was once used for coal mining has collapsed and has been flooded by the heavy rain and created a small lake that can be up to 10 meters in depth. There are six flotillas that populate the lake that are connected to convertor box that generate the energy. The lake that had no use prior to containing hundreds of solar panels that have the capability to generate 40 megawatts of electricity. That is enough to successfully power 15,000 homes. Floating solar farms gives value to the land that would have been unused without harming the environment and damaging the ecosystem. Solar panels are not as efficient if they are overheated. The surrounding water helps cool the panels and reduce the risk of failure and maximizes the power being generated. Also, the solar panels being used can shade the water they are on and help reduce evaporation by as much as 70%. Solar energy farms can provide and promote significant environmental benefits which lead to a more sustainable lifestyle. Solar farms are prominent across the country. The world’s largest solar farm is located in the western province of Qinghai. It covers around 27 square kilometers and generates power strong enough to supply 200,000 homes. 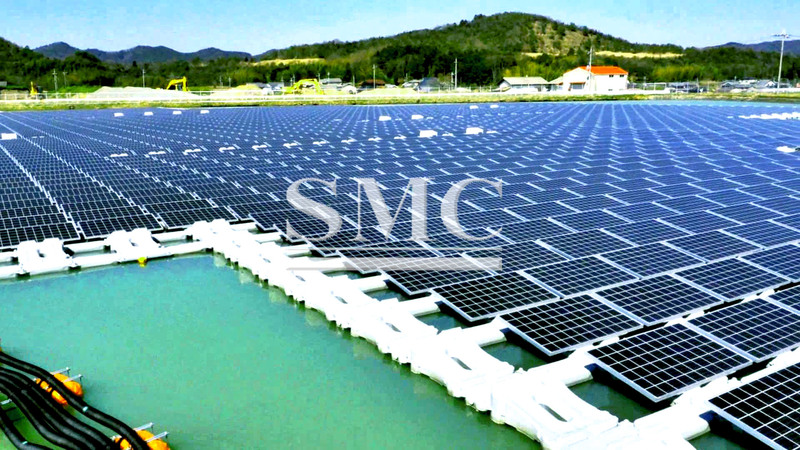 There is also a 300 panel floating solar farm on top of a fish farm in the Zhejiang province. Previously, the largest floating solar farm was located in London and was only able to generate a little over 6 megawatts of electricity. Also, the soon to be largest farm that contains 6 million panels is located in the Ningxia region. They are being widely produced throughout the world and are becoming the more logical way of providing solar energy. Investments like this are leading China in the right direction of becoming a sustainable country and their efforts of leading a renewable energy future. There are continuous efforts and projects that include solar energy for the future. Not only will solar power help the environment, but also help China’s economy flourish.